The serviceman was friendly and listened to my concerns. He was quick and thorough in his application process inside and outside. He dealt with my concerns and explained what he had done and how the product worked. I appreciate being able to have someone come back between appts. Prefer a personal call over Automated call system. Felt like automated was less accurate. Although your representative who came tried to do the best that he could in the rain, we do not want service performed in the rain again. He used crystals (which he said works better in the rain)instead of the normal liquid spray. The problem is that the crystals get tracked into the house and we don't like that. On a dry day the liquid dries quickly, so it doesn't track into the house. You all are very good at checking everything and taking care of any problems we might have. Our technician is very attentive and if there are any issues they are always addressed in a timely manner. Overall one of the best pest control companies we have dealt with! We have had no issues with bugs and service has been great. Dustin knows his job well and is knowledgeable. He take extra time to go above and beyond instead of doing just the basic service. Regular monthly visit and good service. Excellent Service. I would reccomend to others. Our technician Floyd was absolutely wonderful. He answered all the questions we had the morning of the treatment and he made sure he knew exactly what we were expecting him to do. He arrived to our home right on time as well, and even called when he was close to getting there which made getting our pets out of the house so much easier. I couldn't be happier with the service and we did not require a follow up treatment which is such a relief. You guys are the best! Amazing people who work around your schedule and get you service quick! Excellent and caring service. They do whatever it takes to finish the job! I am very happy with the people I have met on this long journey with Home Paramount. The work was very hard but completed to my satisfaction. I have signed up for 1yr service on top of big cellar & attic jobs so there's more to come 😉. I want to send out an Xtra thanks to the two Doug's and Sandra as they went above & beyond to make me feel secure & happy with the services.Brandon also kept me in the loop as well.Robbie also Big Thanks for your help! I have had really gu service with Home Paramount. The technician was very friendly and was sure to explain what he found and how he was going to go about treating for pests. He explained that it would be best for the dog to stay inside for a few hours until the spray dried outside. He was quick to make sure I had phone numbers so I could contact him directly if I had any problems. The team is very proactive, and keeps our house in good shape now. They let us know when they are coming, and send a bill online. It is very convenient. Great experience and great work. cleaned up too. Yes; I am happy with the service you provide. 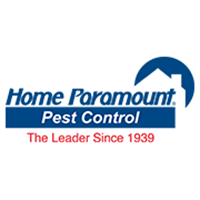 I have had Home Paramount for about 10 years and I am very pleased with the service I am receiving. Donnie has been my tech several times now and he does a thorough job, is very knowledgeable, polite and efficient. Because of where I live I have critters, (mainly mice) and the outside bait boxes was one of the best investments I ever made. Also the termite treatment is well worth the money also. Great Service, On Time and Courteous Technician. Technicians are very professional and take care of my pest concerns. Always just perfect. Very professional and on time. Very friendly, reliable company to work with. Your serviceman,Donald, is very efficient and knowledgeable. Happy with tech as well as customer service. Our service tech, Donald, is a great guy. We are always happy with the way he treats us and our concerns. Keep up the good work. I have no complaints. You work with the customer. We have been customers for over a year now and are very happy with the service Paramount has given us. Technician is always willing to go the extra effort to make us happy. Chris is pleasant on time and thorough. He always does a good job.